Cranes have long been associated with royalty, balance, grace, and longevity. 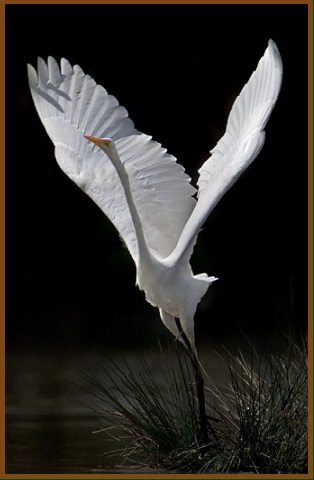 The crane is a prehistoric animal and looks like one, yet is also very beautiful and graceful. A Crane totem entering your life could signal recovery of what was lost to you. 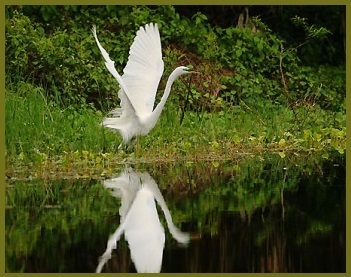 Crane spirit helps us to speak our truth as we live with courage and integrity. The lesson is to wait in complete balance, as we remain ever focused on our path of destiny. 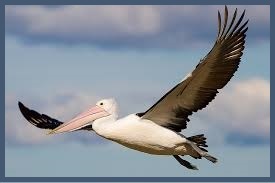 The key is to soar as ONE with the wind regardless of the journey’s way. An encounter with Crane in Dreamtime is a powerful sign of love, happiness, and good will among family and friends. Call on Crane when everything feels off kilter and you want to restore order and balance to your life. Are you ready to have fun today? I am inviting you to use your imagination to create your own Chakras’ Animal Guide Totem. Divide a blank piece of paper into three columns. The center column is where I built my totem starting from the bottom Earth Chakra (sometimes referred to Earth Star) to the top chakra above the Crown (sometimes referred to Soul Star). Allow your intuition to select what animal you think best represents each of the nine chakras. Sketch or paste pictures of the animals you choose for each chakra. You will probably be moved to pick your favorite animals. In the left hand column of my paper, after completing my Chakra Animal Guide Totem, I looked up on the internet what Totem Lesson each of my animals could teach me. Then in the right hand column I looked up Dreamtime Messages if visited by these animals. 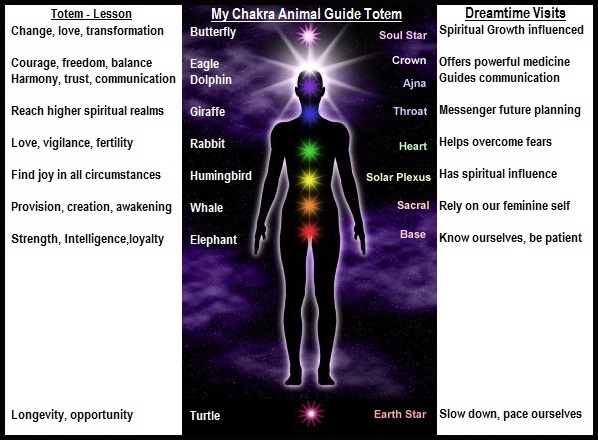 Below is an example of how I worked on my Chakra Animal Guide Totem (without the animals drawn). This exercise is like a journaling exercise. Some might consider it a vision board exercise. 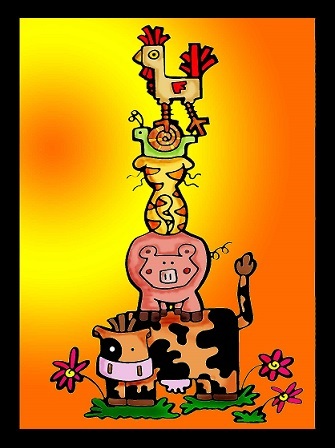 I was extremely fortunate that my dearest friend took my collage of animals stacked on top of each other and did a beautiful pencil etching of my Chakra Animal Totem. It is one of my most cherished pieces of art. ENJOY – YOUR ANIMAL GUIDES’ PERSONAL MESSAGES!!! Why magpies today? I am here in Alaska again and two magpies are outside the window in the snow covered trees. 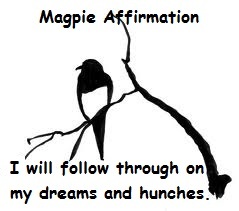 Magpie’s messages of things to come; two could mean that a beautiful union of two people is likely to transpire soon. (This speaks to me). Female magpies are strong, forcefully assertive. Male magpies are calm, quietly contemplative. 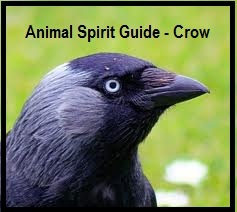 The animal spirit of magpie teaches that we achieve balance of our masculine and feminine aspects in practical methods. She asks that we swoop and fight when the time is right. He asks that we stop and contemplate in place of acting ‘busy’. If a Magpie shows up, it means: Act on opportunities that present themselves. It’s also important now to check and balance your polarities, such as masculine-feminine, intellect-emotions, or spiritual-mundane. Be straightforward in your verbal communication, saying what you mean while at the same time listening carefully to what the other person is saying. Call on Magpie when: You are involved in a project that requires the use of ingenuity and resourcefulness which might not always be obvious. If Magpie is your Power Animal: You are resourceful, intelligent, and adaptable, drawing on whatever’s available to achieve your objectives. Your interests are broad and varied which leads to exploring anything that comes across your path. 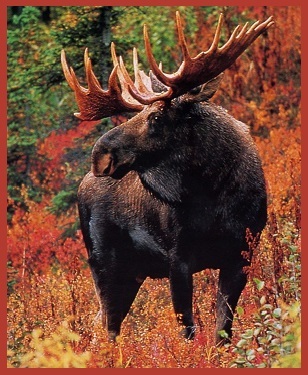 Moose is one of the most ancient and unique of power animals. 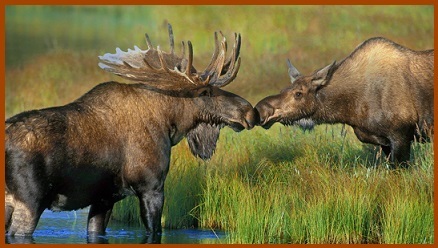 When Moose comes into your life and lends you sacred and unique energy, the primal contact with the great Feminine force is awakened. It is an invitation to learn to explore new depths of awareness and sensitivity within yourself and within your environs. If moose is your power animal then you will at times appear clumsy yet graceful. You have an innate ability to be balanced – when to be gentle, when to be strong, what to say when and to whom. Moose is a very powerful totem to have and will help you discover who you are and put you in touch with your congenital wisdom. When Moose appears in a dream, it is said to reflect a long, good life. I am here in Alaska again and I look out daily hoping this is the day I will be kissed with the sighting of this magnificent creature. There are several species of crow. Raven is one of these and magpies are another. The meaning of the Crow symbol signified wisdom and some tribes believed that the Crow had the power to talk and was therefore considered to be one of the wisest of birds. Crow knows the unknowable mysteries of creation and is the keeper of sacred law. If Crow shows up, it means: 1. Expect a big change soon. 2. About to get a glimpse into some future event that affects you directly. Call on Crow when: 1. Faced with some significant change. 2. You need guidance in developing and manifesting an inspiration. Also help with understanding the signs and spiritual guidance you are receiving. 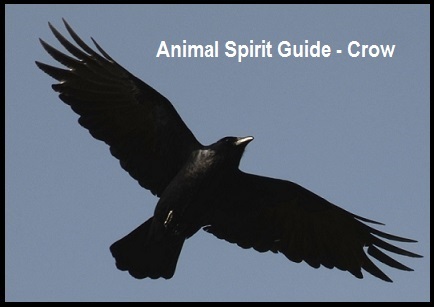 If Crow is your Power Animal: You are a resourceful, sociable but prefer to spend time with family. You let yourself be guided by the voice of Spirit and very willing to speak up whenever something is out of accord with spiritual law. I can’t be in Alaska without writing about the Musk Ox. 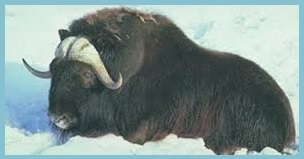 Experts say that musk oxen accompanied the woolly mammoth across the Bering land bridge during the last ice age. They were hunted to near extinction by the 1850s. With a bit of governmental intervention and the hard work of forward-thinking conservationists, musk oxen once again thrive on Musk Ox farms in Alaska. When Musk Ox appear: It is a sign that the emotional climate you have been enduring will begin to lighten. You are experiencing a strength that comes from many years of endurance. Meet any challenges head-on with courage and persistence. 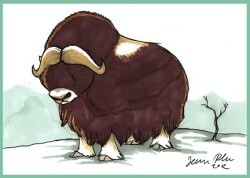 Call on Musk Ox when: You are in an environment that is physically challenging. If you require the ability to withstand coldness from others. There is a need for guidance in staying detached from emotional drama of others. If Musk Ox is your Power Animal: You find strength in numbers and enjoy being surrounded by friends and family. You maintain a primal connection with the ancient earth. You are very protective of family and ideals and never back down from a challenge. I see challenges as opportunities for growth. I joyfully handle any situation that presents itself as I move forward in my life path. My courage is always with me. 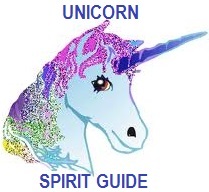 A Spirit Animal Guide may be a mythical animal such as the unicorn. The mystical form of the unicorn is an archetype of purity and innocence. 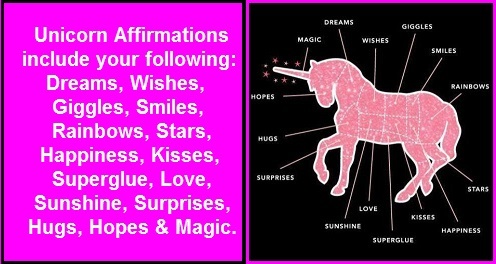 Unicorn energy is of a high vibration which removes negative energy. If UNICORN shows up, it means: It is time to pursue any creative interests that you have suppressed. Let go of worries and have fun. You are going to experience a surge of personal power, use it wisely. 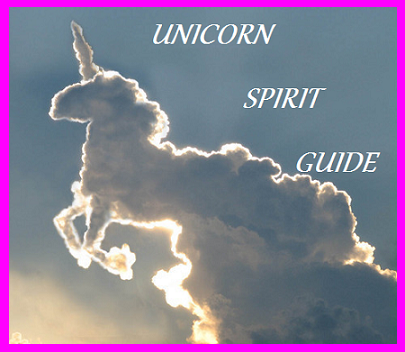 Call on UNICORN when: You want to recapture the sense of awe and magic. You’re feeling a call to get something artistic going and not sure what to do or how to get started. If UNICORN is your POWER ANIMAL: You are attuned to Mother Nature and care deeply about the environment. You like working with highly sensitive children who have psychic or intuitive gifts. 1. Because the bear is cautious, it encourages discernment to humankind. 2. 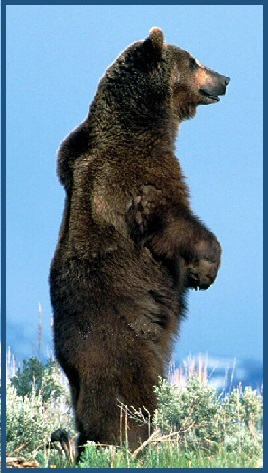 Because of a fierce spirit, the bear signals bravery to those who require it. 3. 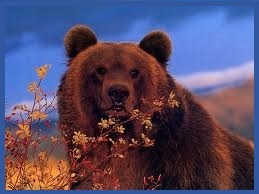 Because of its mass and physical power, the bear stands for confidence and victory. 4. Because it prefers peace and tranquility (in spite of its size), Bear calls for harmony and balance. 1. There is need for physical or emotional healing. 2. You need power and strength or emotional protection. 3. You want courage to pursue goals or when a situation requires you to be assertive in order maintain dignity. I seek harmony & balance. Gorilla demonstrates a gentle yet firm strength. He teaches balance between passive and aggressive. He shows the art of communication and social interactions with family. 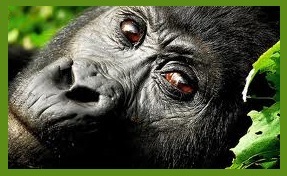 Gorilla teaches the skill of listening to subtle frequencies; intuition and clairaudience. 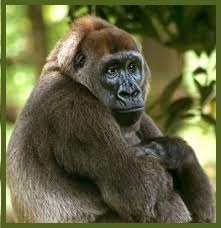 C all on Gorilla when: Feeling lonely, isolated, and want to socialize with people that share genuine mutual caring. Feeling fragmented and ungrounded from being too much in your intellect, or spending a great deal of time indoors and lacking contact with Nature. If Gorilla is your Power Animal: You are very observant and have an excellent memory. You are very gentle, tender, and compassionate. You would only become aggressive if someone seriously threatened you or a loved one. You carry yourself with dignity. Affirmation: I will trust my hunches and be willing to share my knowledge. The post subjects are often not picked by me but for me. I have been entertained on my morning walks for the last week by watching the pelicans flying, swooping and fishing. 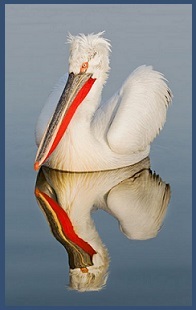 This morning I wondered about pelican as this week’s animal spirit guide. However, I didn’t given it another thought until later after finishing some errands. Treating myself to a cruise through Barnes & Noble, I picked up a book by Lesley Morrison called The Healing Wisdom of Birds. Playing my favorite book game, I opened to a random page. Yes! you guessed, it was pelicans! Believed to have mysterious life-giving powers – Like the phoenix, linked with the alchemical process of resurrection – worldwide symbol of charity, compassion and devotion – Queen Elizabeth wore a pendant depicting a pelican, representing her selfless love of her people. I release all my anger, resentment, and guilt. I have compassion for myself and others. I raise above my past.